The Authentic German Beef Rouladen Recipe is a recipe to prepare filled meat rolls. The Beef Rouladen are called Rindsrouladen or Rinderrouladen in Germany. The Rouladen are traditionally served with dumplings, but I like it also with mashed potatoes or spaetzle. 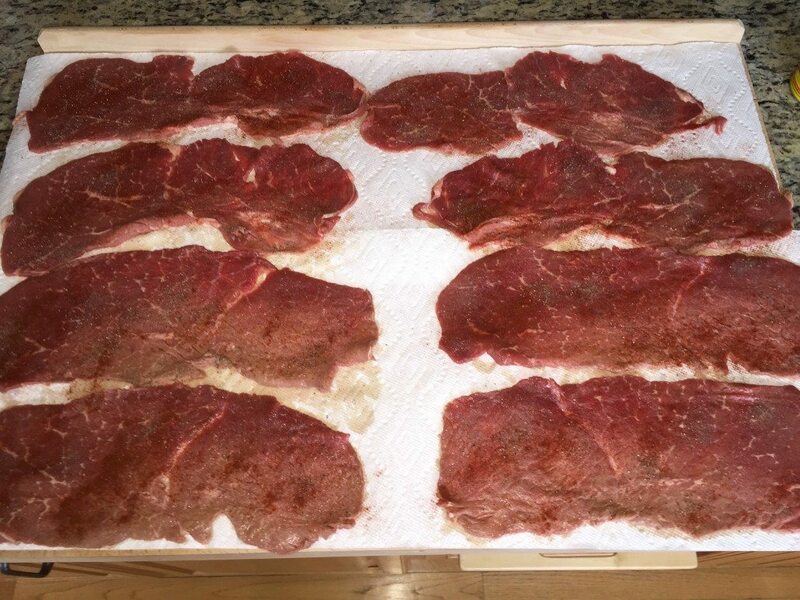 If you cannot get the cut top round cutlets, ask a butcher to cut them for you or buy a piece of top round London broil, place it in the freezer for a little while until it hardens (do not freeze) and cut into slices with a sharp knife. Wash the meat and dry it with a paper kitchen towel. 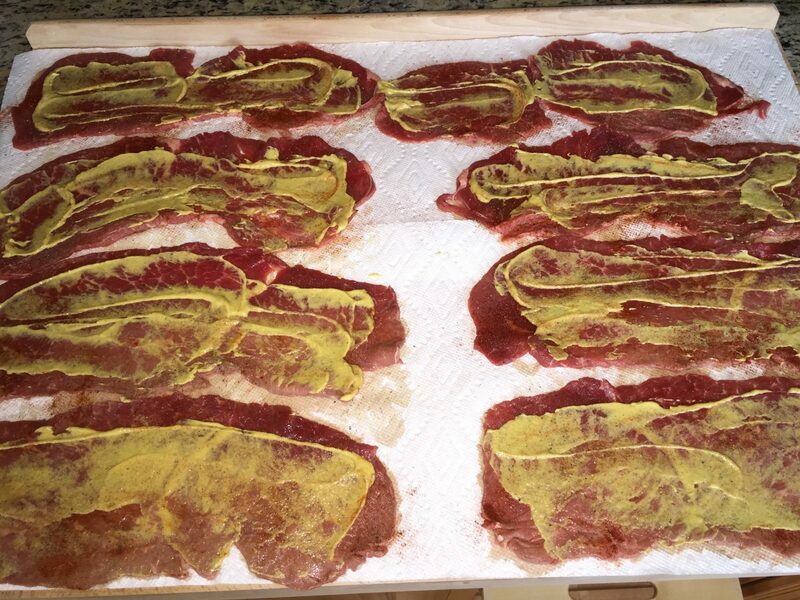 Place the meat slices on a flat surface and sprinkle salt, pepper, and paprika over them and spread on the mustard. To avoid the mustard squeezing out on the sides when rolling the Rouladen later, make sure you do not spread the mustard too close to the edges and the side ends of the meat. 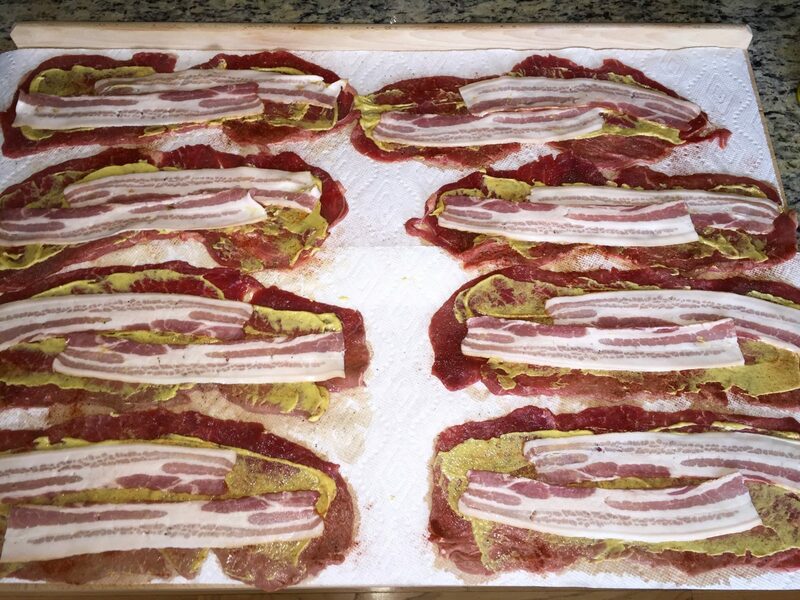 Cover each slice of meat with two slices of bacon on top of the spices and mustard. 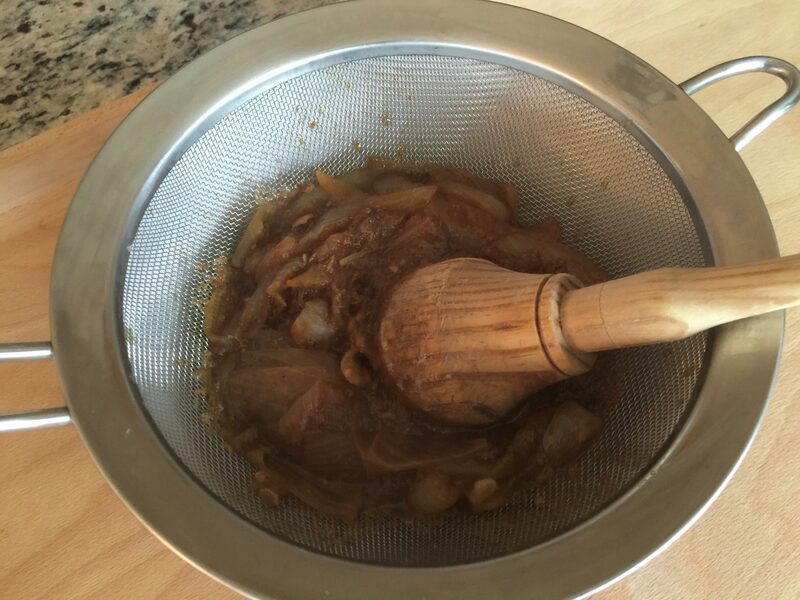 Cut 150 g — 5.29 oz of onion in strips and cut the pickles into quarters lengthwise. Place them both on top of the mustard. 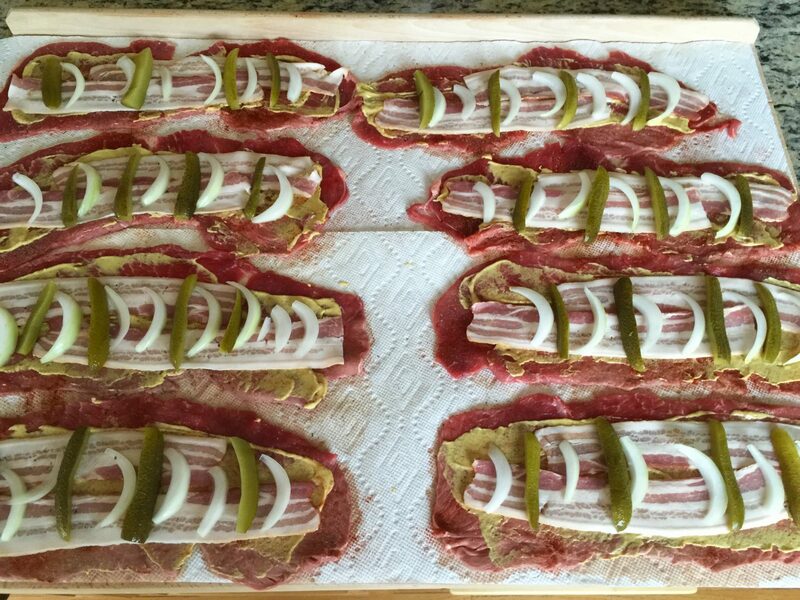 Roll the sliced meat with the fillings and bind each piece with some bakers twine. Heat up the shortening in a saucepan or large skillet. 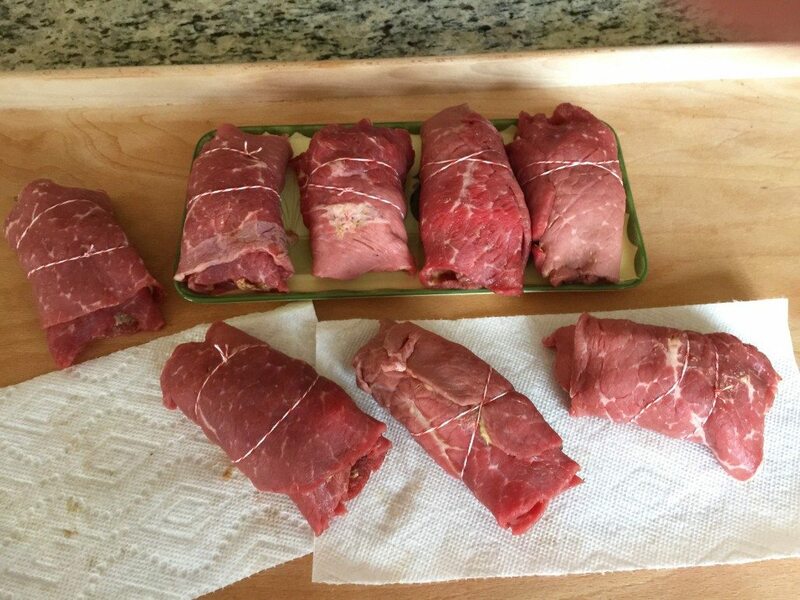 Fry the filled meat Rouladen on each side until they are browned. 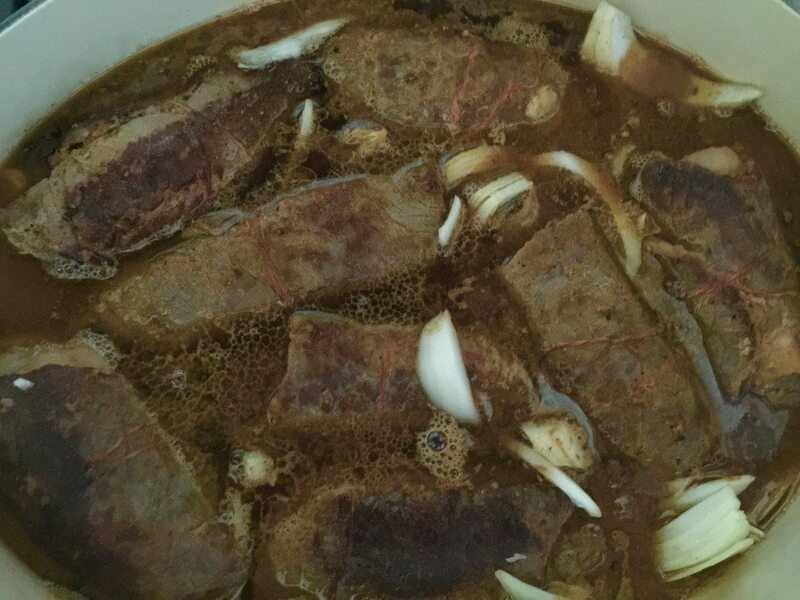 Fill the pan up with water, but do not cover the Rouladen; allow the top of the Rouladen to still show above the waterline. Add 300 g — 10.58 oz of onions cut in chunky pieces and crumble the bouillon into the pan as well. Cover and let it simmer for about 45-60 minutes depending on the thickness of the cut of meat. Take the Rouladen out and carefully take the twine off. Pass the liquids through a fine sieve or a food mill. You need one liter — 1.05 qt of liquid to make the gravy. If necessary add more water. 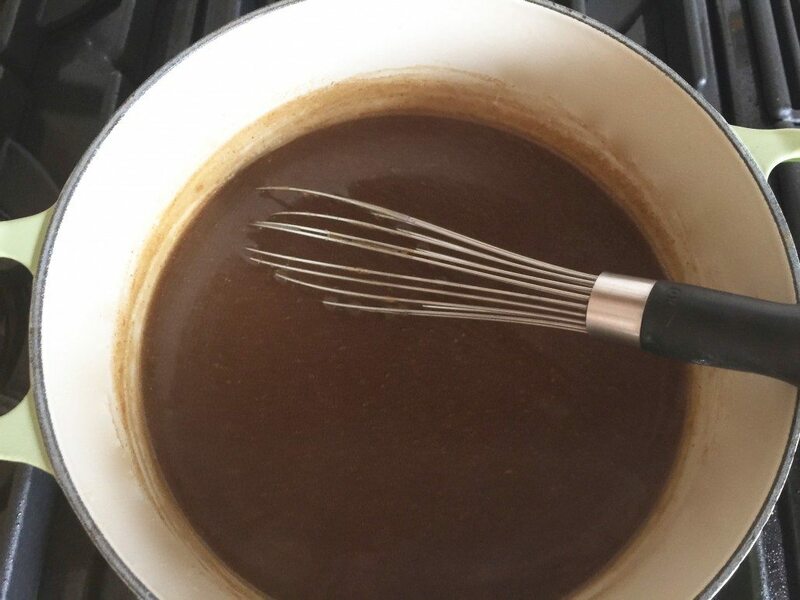 Bring the liquid/gravy to a boil again. Dissolve cornstarch in 3 tablespoons of red wine (optional you can also use water) to thicken the gravy and spice it up with salt and pepper to your liking. You could serve the meat rolls with Oma’s Potato Dumplings Cooked, Potato Dumplings Half and Half or with Spaetzle.